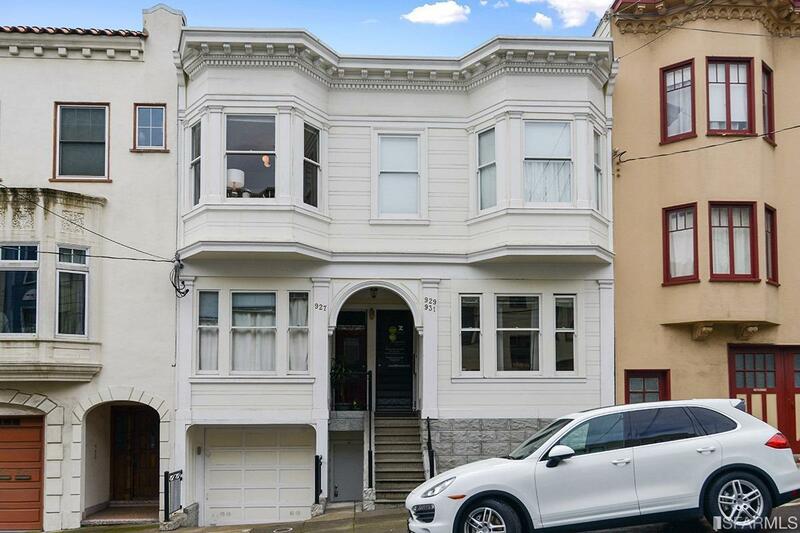 Located in one of the city's most sophisticated neighborhoods, this special Russian Hill home offers a truly authentic San Francisco living experience. 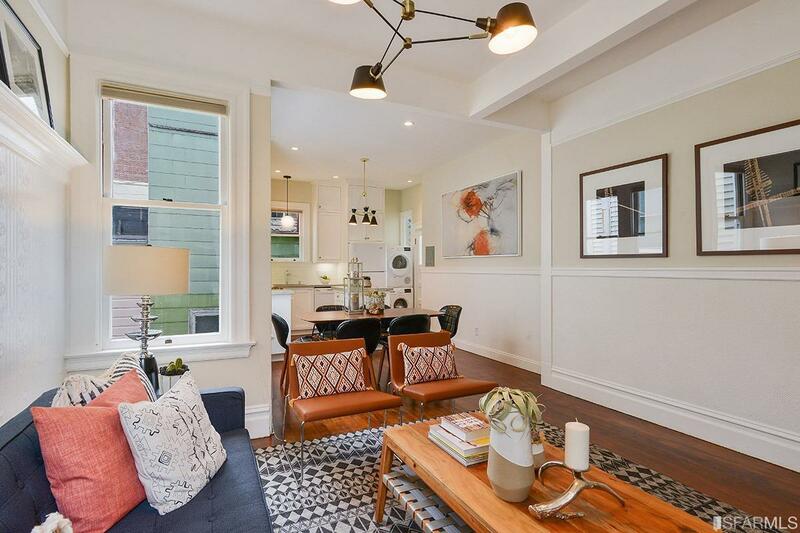 This charming top-floor condo is set in a 3-unit Victorian & features harmonious balance of modern upgrades & period details throughout. 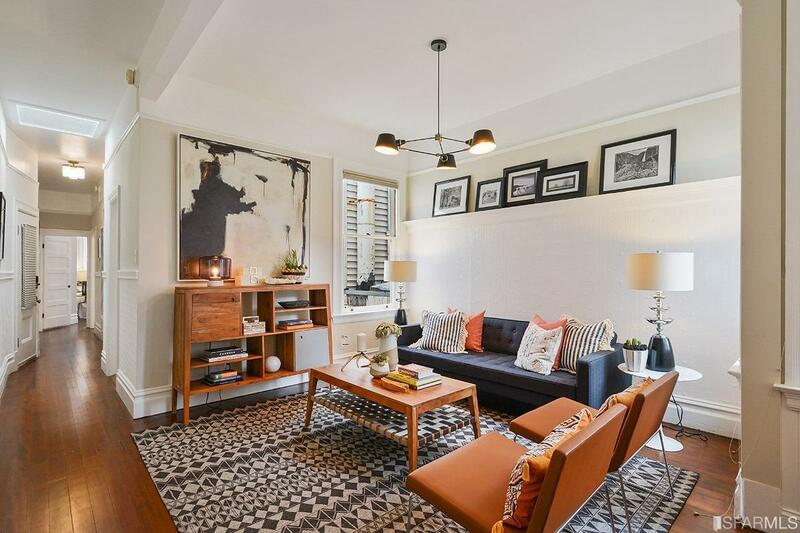 Beautiful softwood flooring, high ceilings, designer-selected lighting & original decorative moldings & wainscoting give this home a warm, inviting energy. Enjoy the well-designed floor plan w/open living & dining area, creating the perfect space for time w/friends. The remodeled open kitchen features a washer/dryer, custom cabinetry, ample counter space & island. Luxurious updated bathroom w/a natural stone counter, deep soaking tub, heated floors & Japanese style commode. 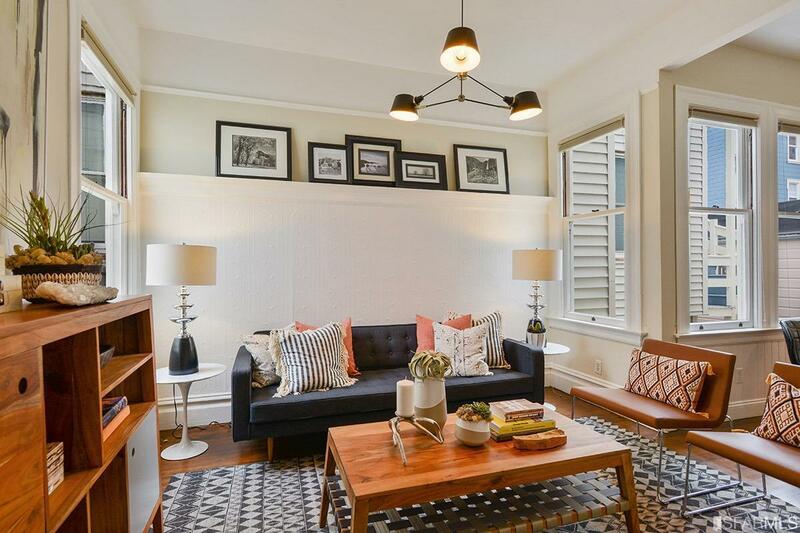 Enjoy 2 bedrooms, 1 w/a decorative fireplace & 2-car parking + 2 scooter parking + storage space! Walk up stairs off the kitchen to access the roof & enjoy wonderful city views. 97 Walk-Score! Stroll to coffee, restaurants, trans. Listing provided courtesy of Laura Kaufman of Zephyr Real Estate.